Endorsed by Olympic champion, Dame Kelly Holmes, the Apex gym floor exercise series represents a leap forward in innovative gym workouts, designed to help you reach your personal best, whatever your fitness level, if personal training is not an option for you. If you’ve noticed Apex classes on the timetable and are wondering what they entail, they are instructor-led, 30-minute long, intense training sessions with numbers limited to about twelve participants. But don’t think that because you’re a beginner and not already super-fit, they are not for you. Classes are designed for all levels of ability and range from high octane to paced and controlled sessions, and those taking part relish the challenge, camaraderie and fun of working in a group. And the instructor is always there to hold your hand, get you started, offer you advice and encourage you all the way. Each class in the Apex Series concentrates on distinct areas of fitness, focussing the attention on one particular physical skill or discipline. 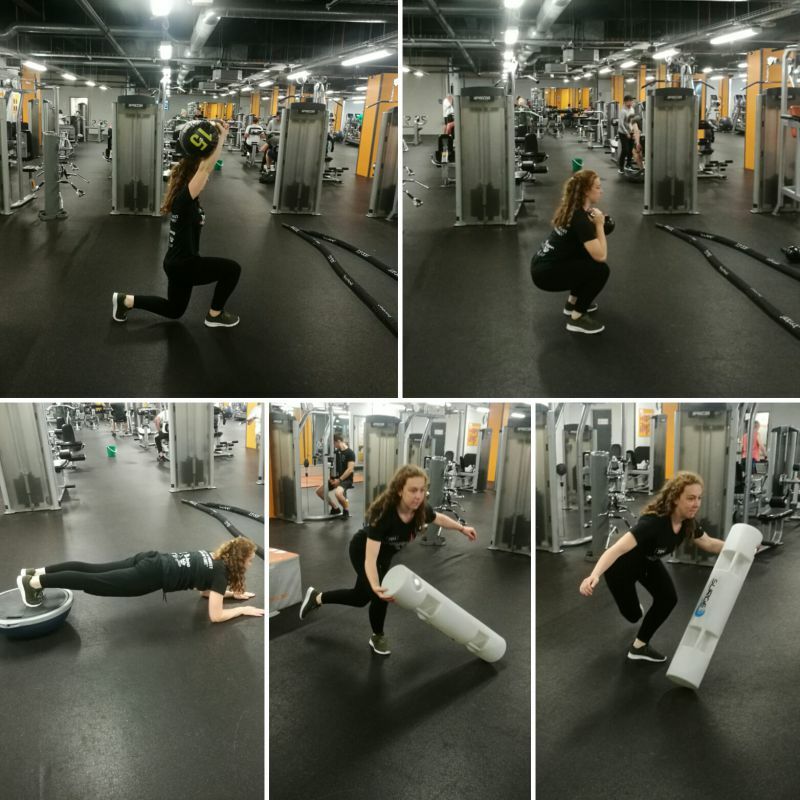 Classes utilise both standard and specialised gym equipment, and the instructor shows you how to use this safely and effectively to get maximum benefit from it without risking injury. This overcomes the barriers of embarrassment and reluctance to try out a piece of unfamiliar fitness kit, which may hold you back when you’re trying to work out in the gym independently. • Ignite – a total body workout to get you leaner, fitter, faster with short, intense cardio sessions, using equipment like battle ropes and clubs. • Agility – athletic training to help you get the most out of your chosen sport or just improve your fitness, to help you cope better with day-to-day living. Activities focus on improving balance, stability and coordination and are both playful and fun. • Strength – utilises weights and functional strength training techniques to build more power and muscular control. • Core – helps strengthen the spine and core muscles, improving posture and balance. Exercises also focus on preventing or managing lower back pain, using equipment like the soft Pilates ball. Over the next few months, we are introducing two brand new Apex programmes to the timetable – Fusion and Release, which will offer fresh and absorbing new exercise routines for you to try. • Fusion – a blend of yoga and Pilates, focusing on balance, flexibility and strength training and connecting mind and body in a slower-paced workout. • Release – a healing workout, designed to increase physical awareness, release tension, reduce the risk of injury, mitigate wear and tear and speed recovery. Going to the gym should never be boring. If your visits lack direction and you want to try something new under the guidance of an expert, these exciting Apex sessions should certainly keep you on your toes! Classes are completely free to members and if you regularly take part in our Apex classes, you will not only gain confidence in your exercising techniques, but will also soon be reaping the rewards of improved physical fitness and better health.